Next decide what format you want to import from. 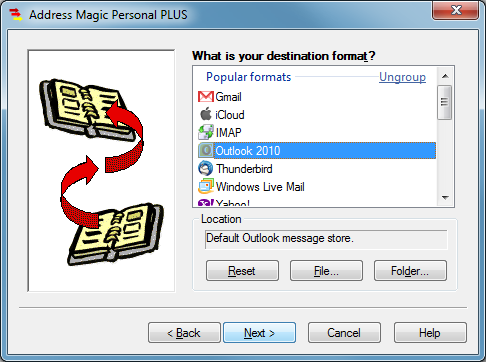 Address Magic only shows formats that are installed on your system, so this screen shot does not include all the formats that Address Magic supports. The Destination is very similar to the source, but the list for destinations is somewhat different than the list of sources. 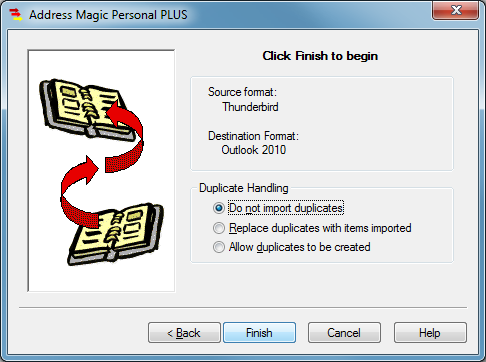 Finally, tell Address Magic what to do if the same message is found in both the source folder and the destination folder. Click Finish and sit back and watch. 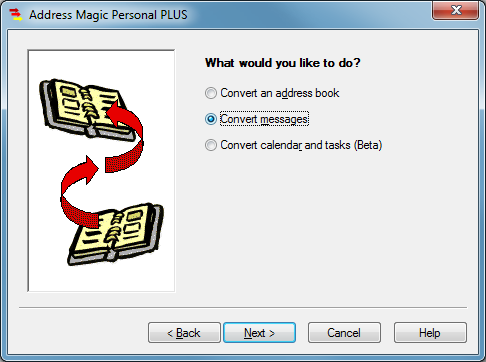 Buy Address Magic Personal PLUS now. Learn more about Address Magic.